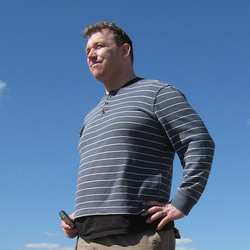 Mike Toole is the editor at large at Anime News Network, the internet's biggest English-language source for news, reviews, and info about anime and manga. His biweekly column, The Mike Toole Show, has been running for more than 7 years. He's also a producer at Discotek Media, a DVD/Blu-Ray publisher based in Florida. His latest Discotek project is the Captain Harlock origin film ARCADIA OF MY YOUTH. Mike's also been an onscreen host for both Anime News Network and Crunchyroll, and will make his debut as a voice actor, playing the narrator on Discotek's 2018 release of Bananya!